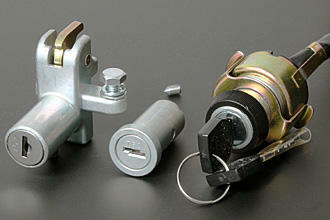 This is a set of three pieces for the Z900A4/Z1000A1/A2 for the ignition switch, seat lock and steering lock. comes with a set of two keys. These are very good copies of the original items. Will also fit the Z650B1 and the Z750B and Z400D models.